Preheat oven to 375 degrees F (190 degrees C). 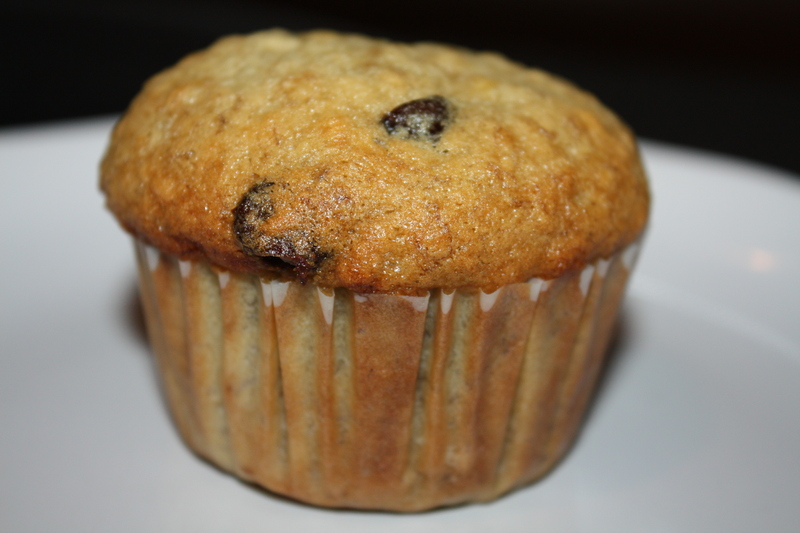 Lightly grease muffin cups or line with muffin papers. Mix together 1 1/2 cups flour, baking soda, baking powder and salt. In another bowl, beat together bananas, sugar, egg and melted butter. Stir the banana mixture into the flour mixture just until moistened (don’t over mix!) and then fold in the chocolate chips. Spoon batter into muffin cups. Bake in preheated oven for 25 minutes, until a toothpick inserted into center of a muffin comes out clean. is this the muffin you gave to me? If it is, it was delicious!i didnt really see the chocolate but i assume it might be this because my muffin had banana. 🙂 🙂 🙂 LOVED IT! I’m so unlucky. I have yet to taste ANY of Jane’s baked goods. Nice muffin!!! !